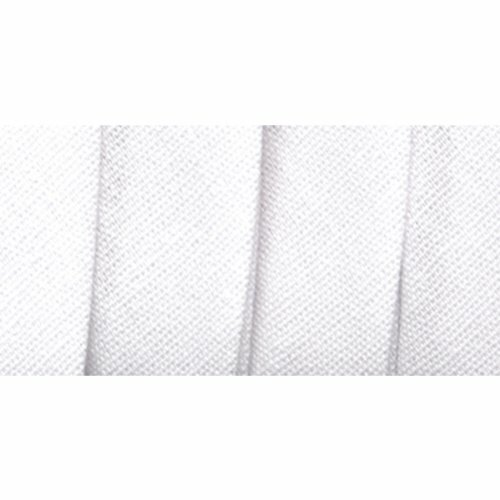 This extra wide double fold bias tape is made of 55-percent polyester and 45-percent cotton material. Colorfast and needs no ironing. Perfect in workmanship. It’s great for binding straight or curved edges or as a color accent on apparel and home decor projects. Machine washable. Available in white color. Measures 3-yards length by 1/2-inch width.